All dragons are powerful creatures, and some can even inspire or empower others with their grandeur and magic. 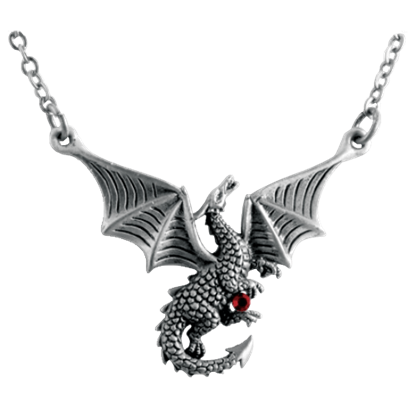 This Air Dragon Necklace, for instance, is a personal accent that is symbolic of personal mental growth and communication. 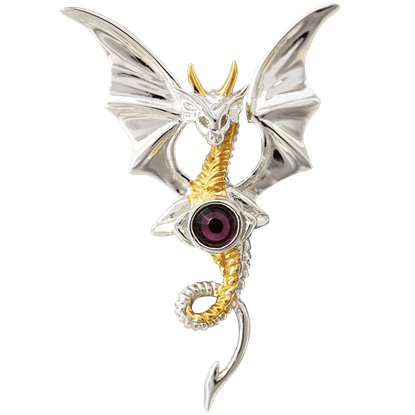 The dragon Aithusa appears in Arthurian legend, most recently popularized with the BBC show, Merlin. 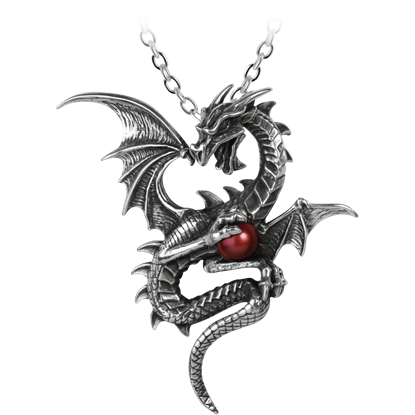 In the Aithusa Dragon Necklace, she curls mid-flight with a red accent crystal in the center. Reptiles that they are, even dragons like to bask in the warm sun. 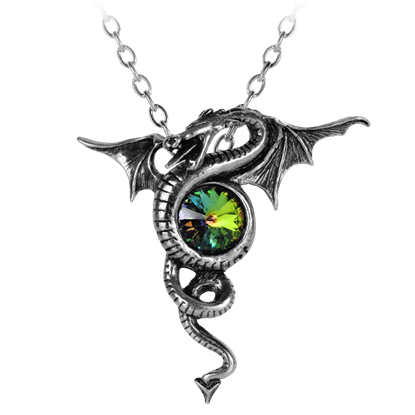 In this Basking Draca Crystal Keeper Necklace, your basking dragon serves to keep a gorgeous crystal with you at all times, one that might just bring you some luck. 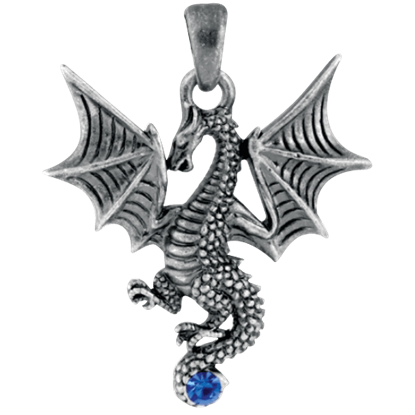 Allow the magnificent Blue Tatsu Dragon Necklace to capture your imagination and enhance the look and feel of your current wardrobe. 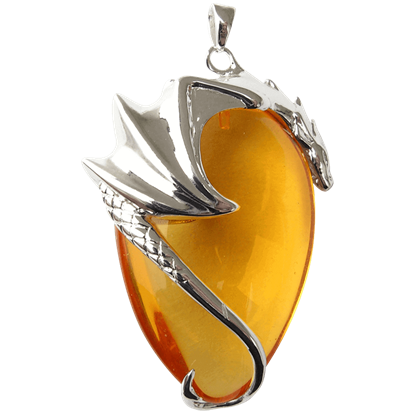 This dragon has its wings spread and your fashion can benefit from this impressive display. 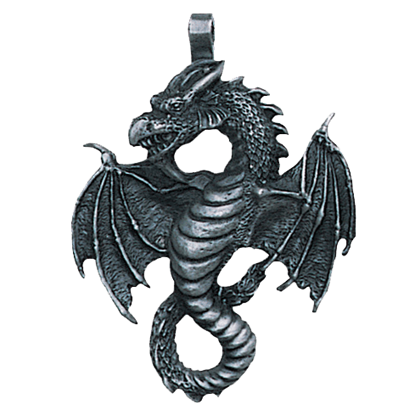 If you have been searching for a way to add fantasy into your wardrobe, then the elegant Braxus Dragon Necklace can be the solution. 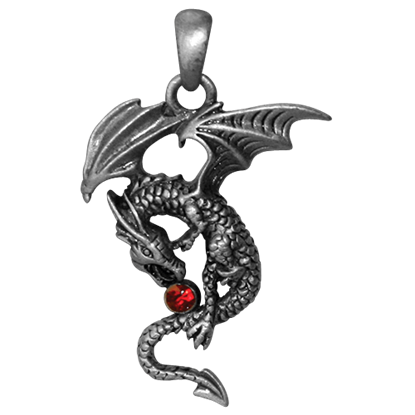 This original portrayal of a dragon is sure to be admired by friends and family, so grab one today. 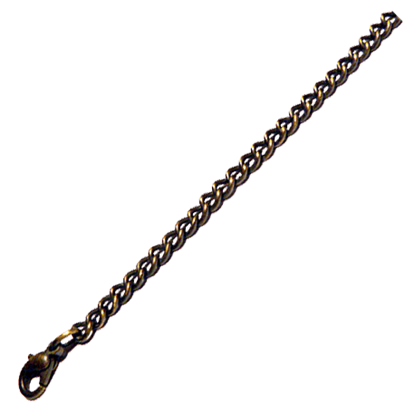 The dragon is a powerful creature, and it is easy to see why it would have been a favorite of oriental emperors. 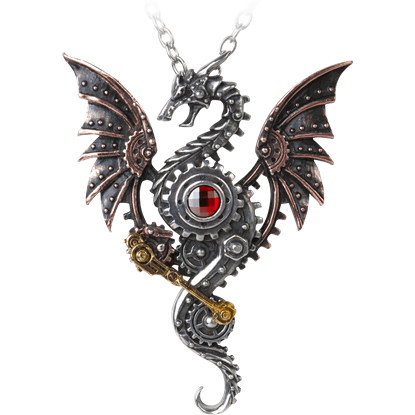 This Celestial Dragon Necklace by Anne Stokes depicts a winged, serpentine dragon that protects a crystal at its core. 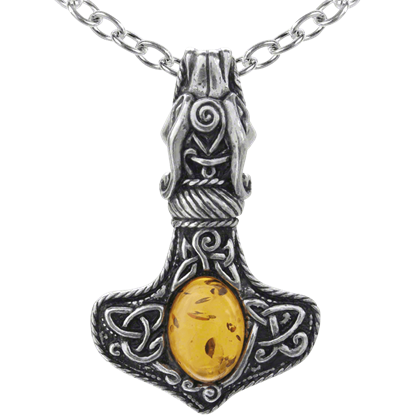 The Celtic Double Dragon Necklace is a fantastic example of good things coming in small packages. 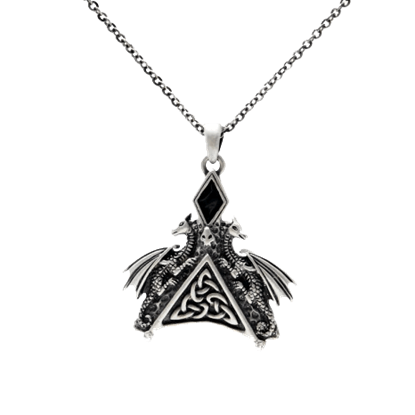 This pendant packs an unreal amount of detail for its size, featuring a classic Celtic knot, a pair of dragons, and other accents.